Although there are so many instant messaging applications available in the market and used by various mobile phone users across the globe, like the Line (which was developed in Japan and used by more than 350 million people across the globe) and Kakao Talk ( which is South Korean based application and has more than 135 million active users) and then there is WeChat (based in China and has more than 280 million users), but none comes close to Whatsapp (developed by two former Yahoo employees and has more than 700 million users as per the statistics of 2015. One of the reasons behind the great popularity of Whatsapp is the option to use WhatsApp status feature. The value and popularity of Whatsapp can be judged by the fact that Facebook – the number one social media giant purchased it for $ 19 Billion price tag. The secret behind the worldwide fame and popularity of Whatsapp application is the fact that the company keeps on bringing changes and keeps on adding great features that make it user-friendly and more enjoyable. This app is very popular in India so many people often search for whatsapp status in hindi as it’s their national language. By using this feature, it became easy for the users of this app to express their feelings and emotions in the shortest way possible. By writing a simple word or posting a simple icon like “Sad” the users were able to generate the response from their friends and family members. •Customized Chat Wallpapers – now you do not to stare at the same chatting screen and get bored. Whatsapp now offers you this great opportunity to change the appearance of the Chat screen the way you want. There are hundreds of pre-designed chat screens available that you can download for free and use them whenever you want. 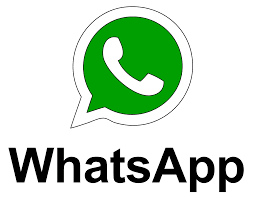 •Save your Whatsapp conversations – if you think that your WhatsApp conversations are important, you can always create a backup for them to be read them later on. •Whatsapp status – another great and handy feature that most of the users like is the ability to change their WhatsApp status at their will. •Share your life – now you can use WhatsApp to send and receive pictures, images, contacts, your location, voice messages and videos besides sharing text messages.